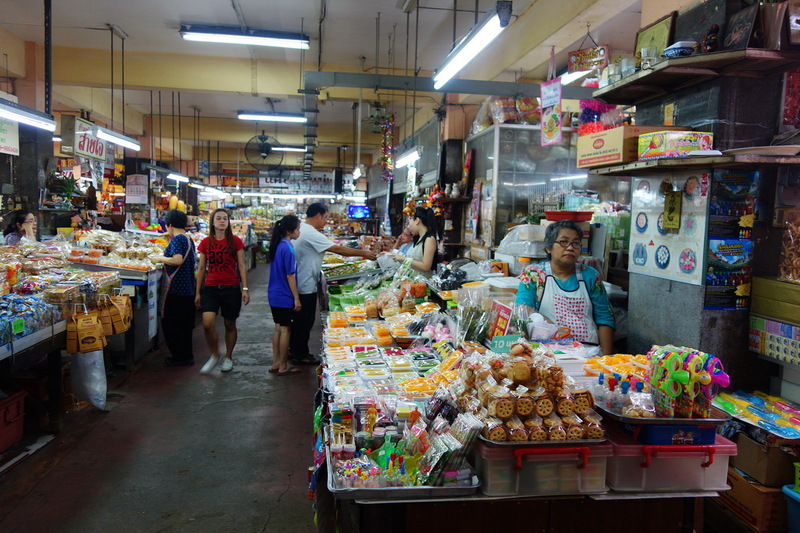 Warorot market is situated in the centre of Chinatown at the end of Chiang Moi Road near the Ping river. Warorot market is known to the locals as Kad Luang which translates to ‘Great Market’. 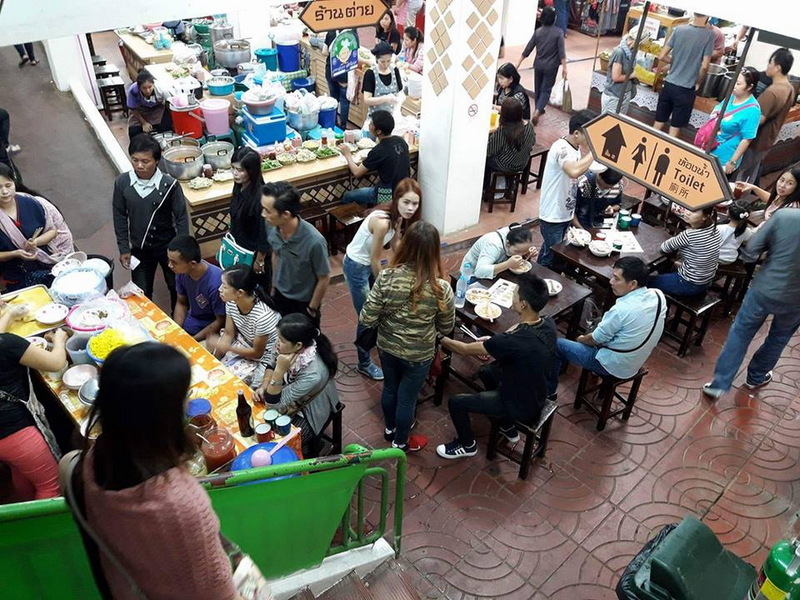 Here you will find more Thai’s shopping than tourists and the quality of the goods for sale is better and often cheaper than that at the tourist night markets and bazaars. It is a 3-storey building with first floor selling food and goods while second and third floors selling inexpensive clothing and merchandise. You can buy almost anything at Warorot Market, a real mixed bag of everything. There are fresh/dried fruit - vegetables - flowers, butchery and bakery items, herbs, condiments, clothing, shoes, cosmetics, jewellry, lacquerware, silks, hemps, handicrafts, ceramics, wood carvings, beauty supplies, household appliances, electronic gadgets, sunglasses, watches, souvenirs, and fireworks, just to name a few. The back and side streets around the Warorot Market are full of Hill Tribe and Northern Thai handicraft product stalls and shops along with various textiles outlets for things like silk and hemp. Again, usually cheaper and much higher quality than in other Markets like the Night Bazaar or the Saturday Markets. While you’re at it, you can stop in one of the Chinese pharmacies in the main street that goes down to the river. A doctor will examine you by taking your wrist in his hands and the pharmacist will weigh the herbs and the mushrooms corresponding to the diagnosis of the doctor. Really unfamiliar. Also if you need, have your shoes repaired by one of the shoemaker,working directly on the walking side. The work is well done, you nearly don’t wait and the price is unbeatable. Walk behind the Warorot Market near the river. 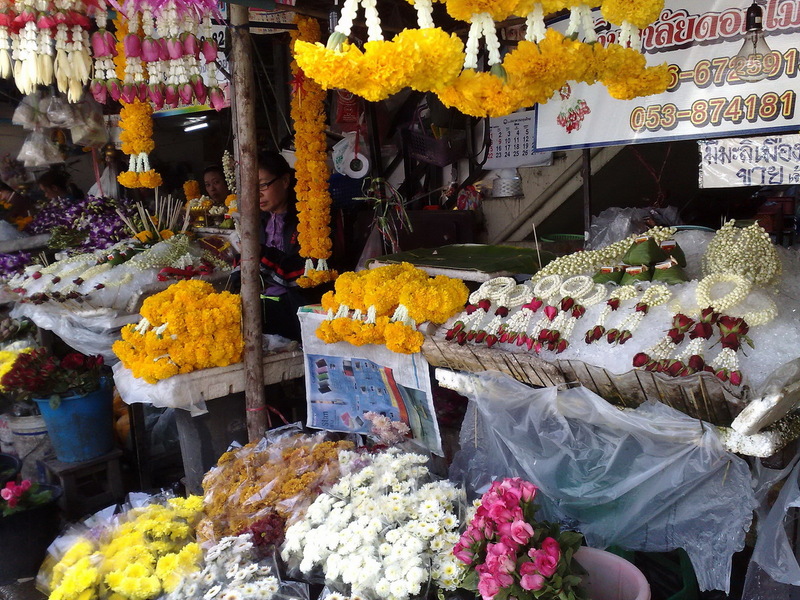 Visit flower market or local people call Ton Lamyai Market. 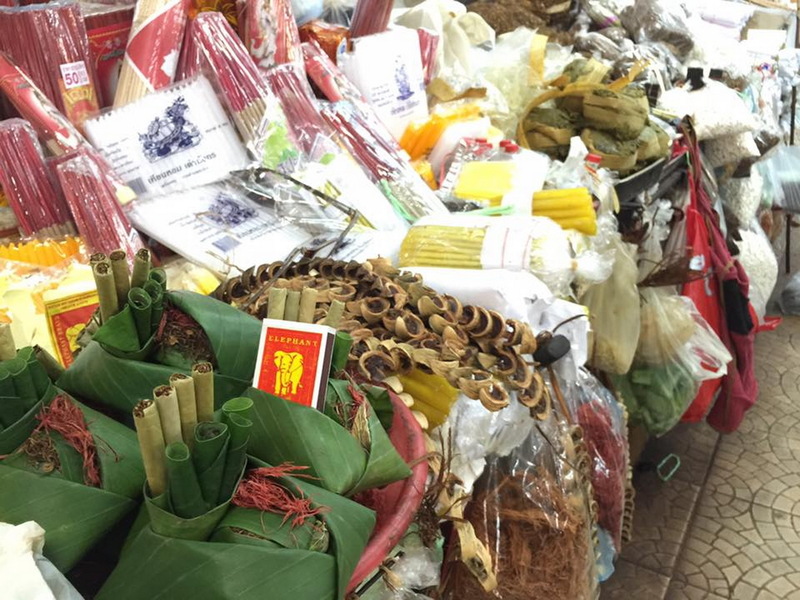 The flower market along the river is impressive with its stalls and stalls of garlands and offerings. There are also places selling large floral arrangements, roses, orchids (incredibly cheap!) and whatever else is in season. Ton Lamyai market is the very best place in Chiang Mai to buy fresh cut flowers and is always vibrant and abounds with every colour under the sun. Ton Lamyai is open 24 hours a day / 7 days a week, but the very best time to visit is during the evenings when you can witness thousands of fresh blooms arrive on the back of pick up trucks just hours after being cut at the local farms all around Chiang Mai area. If you are looking for a display or bouquet as a gift this is definitely the place to come to and the many vendors will make you something special at unbelievably low prices. 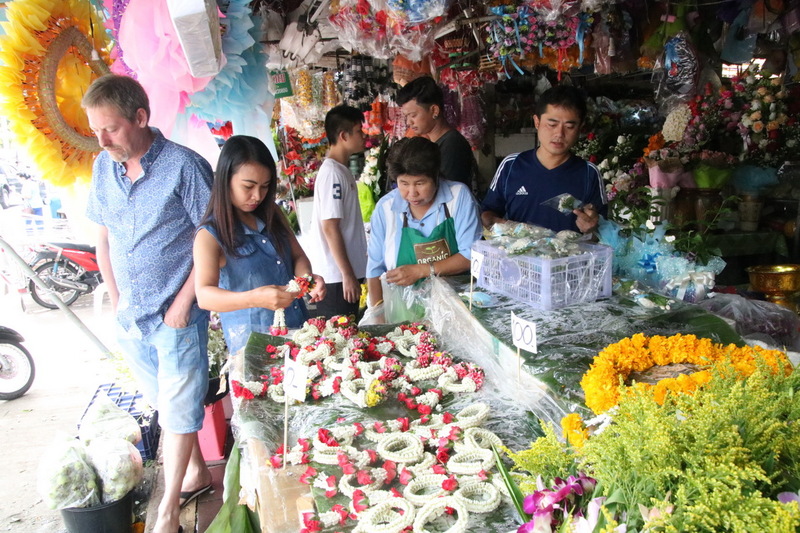 It is great fun just to wander through the various specialist stalls at Ton Lamyai (normally on the river side of the road) and select your own individual flowers and bouquets.